HO Scale Although only a limited number of 10-packs were made, when they run out we will sell five two-packs for the price of a ten-pack. N Scale Although only a limited number of 10-packs were made, when they run out we will sell five two-packs for the price of a ten-pack. 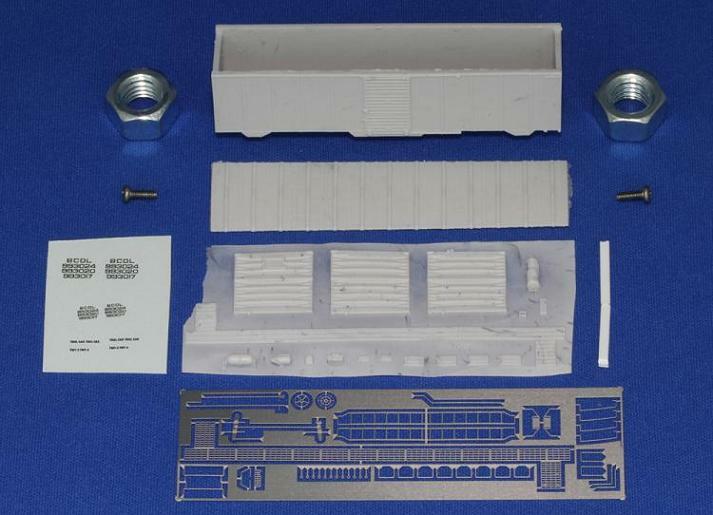 DOFASCO Truck Conversion Kit This is a re-tooled release of the DOFASCO truck conversion kit with major improvements. 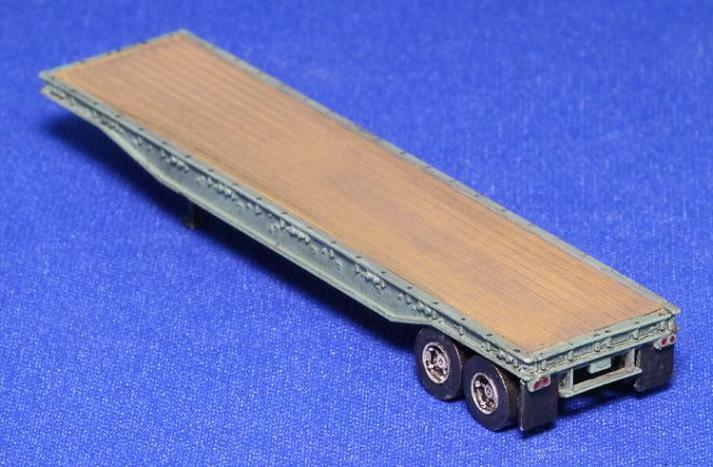 The trucks are intended to fit underneath the Atlas ALCO C-630 and utilize the original gears. The gearboxes are now a one piece polyurethane resin casting, and the bearing plates and pickups are etched in brass. The sideframes attach to the outside of the gearbox. 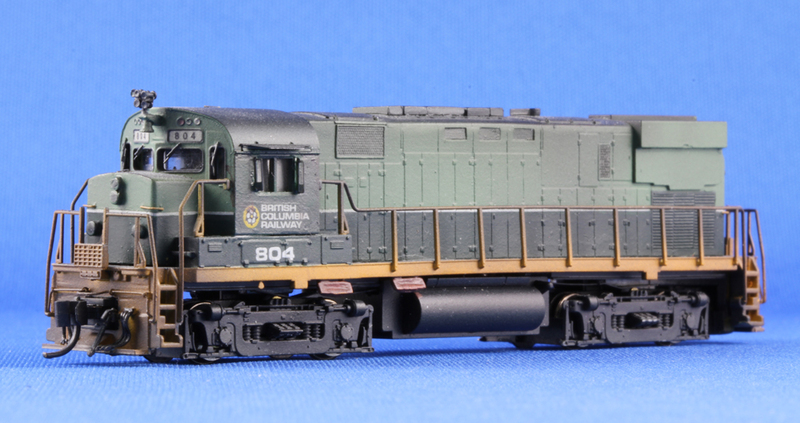 As completed the kit provides the correct Dofasco six-axle trucks with equal axle spacing and a shorter wheelbase of 134 inches for the Canadian C-630M and M-630 locomotives. It is suitable for use with the Atlas ready-to-run Canadian C-630s or with the new M-630 kit (see below). Production is limited to 100 kits. DOFASCO Truck Kit Contents: (click on the images to see a larger picture). 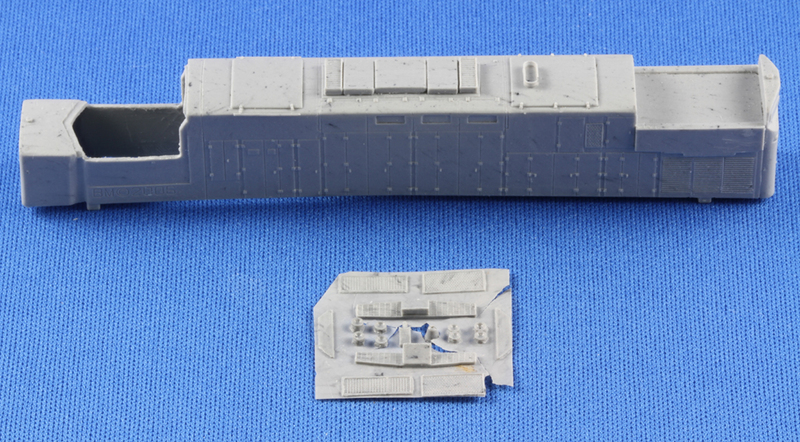 C-425 Conversion Kit This is a re-release of the ALCO C-425 body shell and detail kit without any changes from the previous issue. The shell is intended to fit onto the Life-Like ALCO C-424 mechanism and mates with the original deck, handrails, cab and radiator top. The kit comprises a one piece body shell cast in polyurethane resin and a sprue of resin detail parts including footboard pilots, two types of nose ditch lights, vertical headlight, two types of inertial air filters, a bell and bracket. 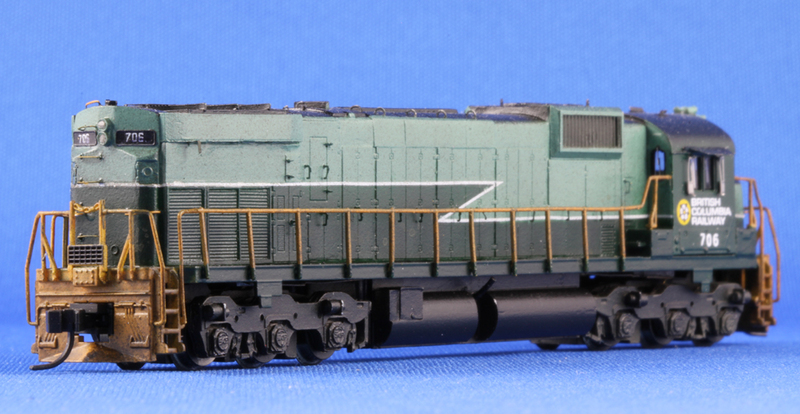 As completed the kit yields an accurate representation of a Phase I ALCO C-425 as delivered to the Erie Lackawanna Railroad (2451-2462) and later sold to the British Columbia Railway (801-812). Production is limited to 25 kits. 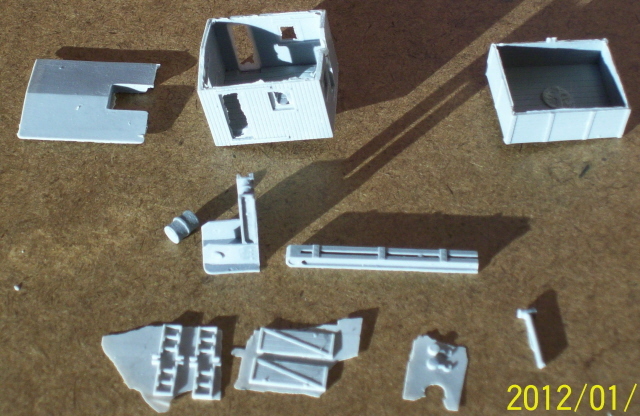 C-425 Conversion Kit Contents: (click on the images to see a larger picture). 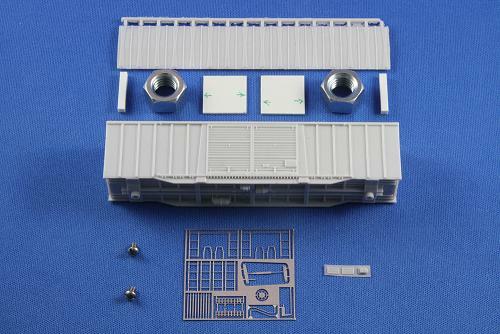 M-630 Conversion Kit This is an all new kit intended to fit onto the Atlas ALCO C-630 mechanism and mates with the original deck, handrail and cab. It comprises a one piece body shell cast in polyurethane resin, a sheet of resin parts, and an etched fret of detail parts. 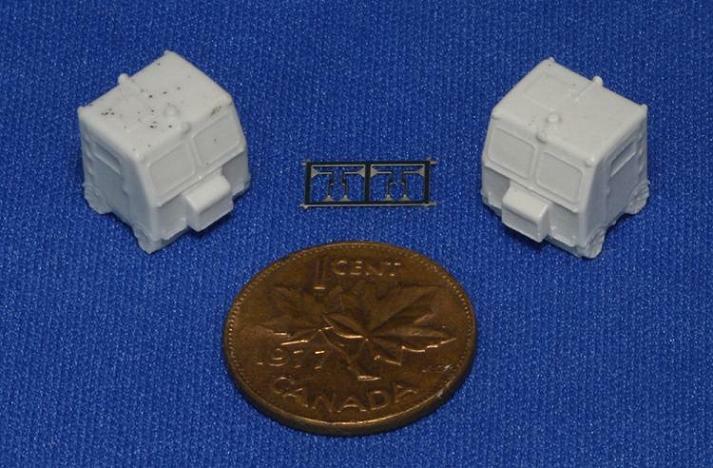 The resin parts include pieces for BCR and CP Rail versions of the fuel tank, air reservoirs, oil heater, several types of nose ditch lights (BCR and CP Rail), vertical headlight, inertial air filter housings, rear end of carbody (BCR and CP Rail versions), radiator top, a bell and bracket. 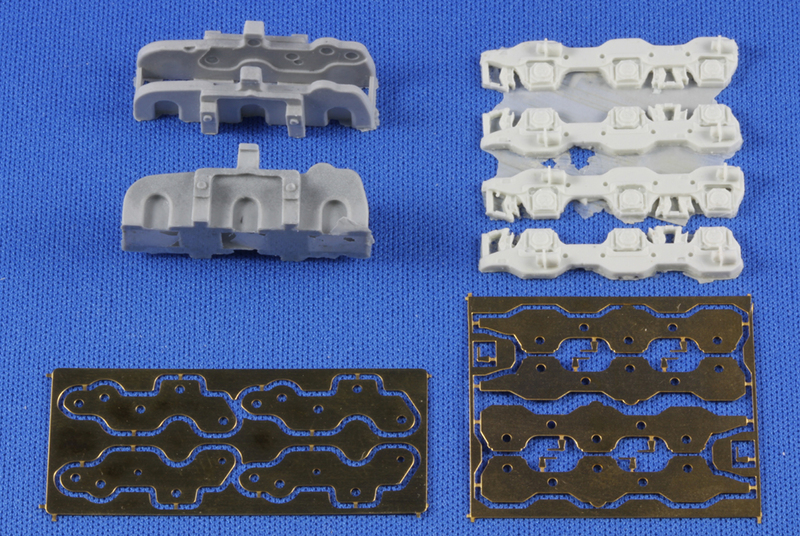 The etched fret includes a wealth of fine detail parts including cab fittings, brake wheel, carbody filters, grab irons, door handles, inertial filters, and radiator walkway. 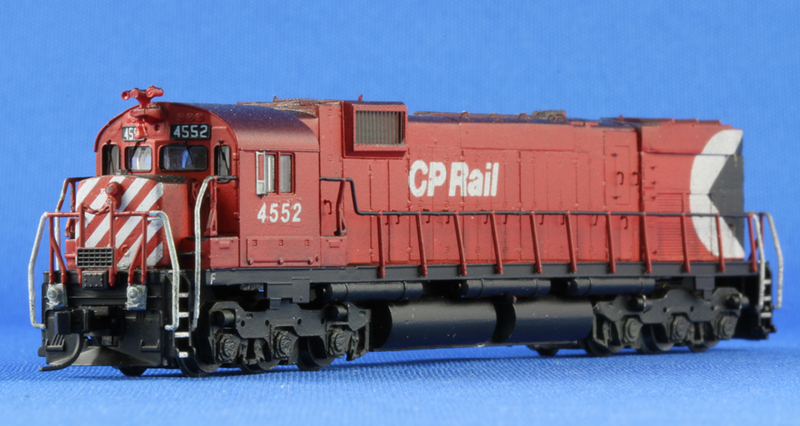 With alternate parts the kit can be completed as an accurate representation of a MLW M-630 for PGE/BCR (705-722) or CP Rail (4508-4573). Production is limited to 75 kits. M-630 Conversion Kit Contents: (click on the images to see a larger picture). Contents - from top left. Crane Cab Roof, Crane Cab, Boom Car Body. Four corner ladders, Two Doors, Two Hooks, One Smoke Stack. The prototype is the National Steel Car 70-Ton outside post double door boxcar produced for the British Columbia Railway and Northern Alberta Railways in 1979. The BCR cars were series BCIT 841699-842099 (600 cars) received in March 1979 and leased for international lumber service between Canada and the United States. They were transferred to CN custody in July 2004. The NAR cars were series 050101-050170 (70 cars) received in May 1979 and also leased for international lumber service. 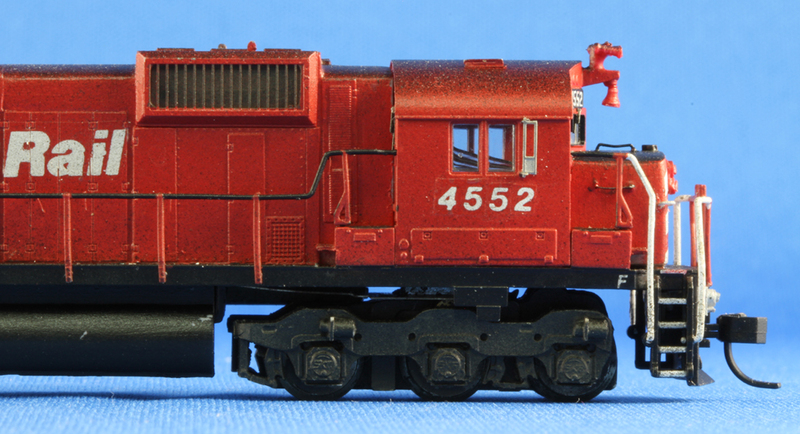 They were transferred to CN ownership in 1981. 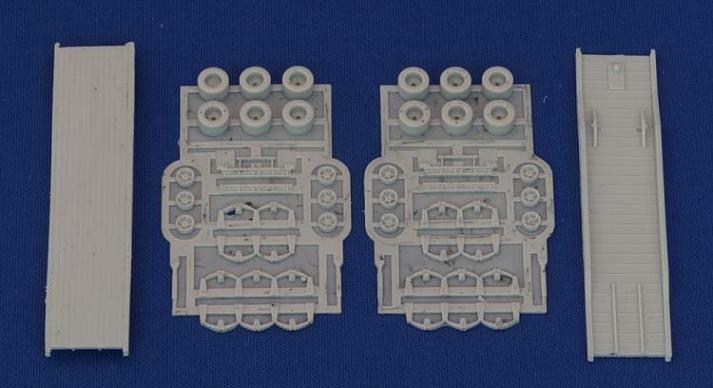 The kit includes resin parts for the body, roof, end tack boards and end brake stand. 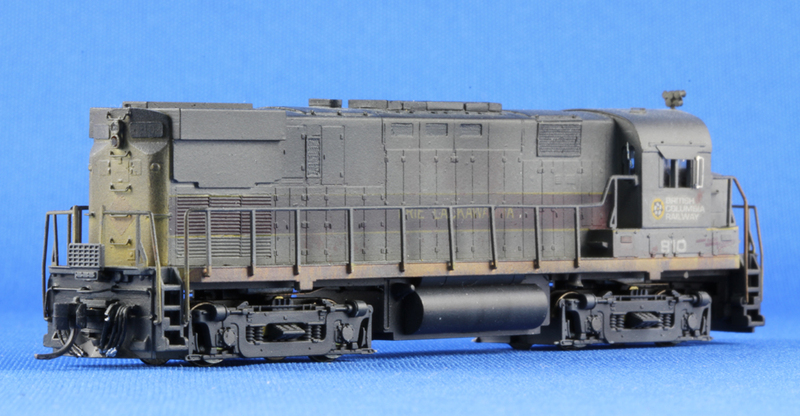 The etched metal fret includes the brake wheel and chain, underframe brake rig, end platforms, end and side ladders. 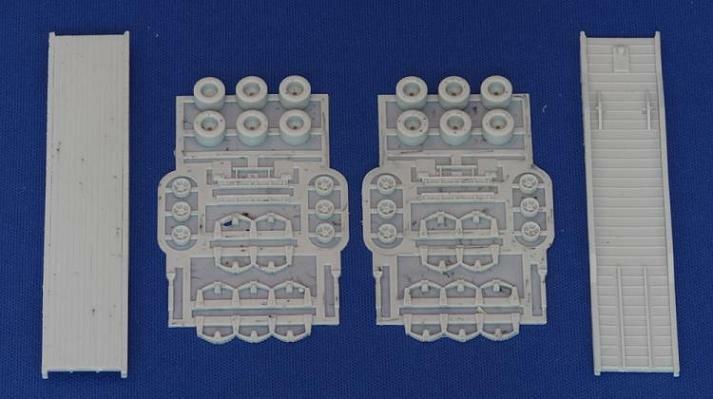 Styrene pieces for interior braces, steel nuts for weight, and 2-56 screws for mounting the trucks are also included. Not included are trucks, couplers, and side placards. The kit is engineered for easy installation of Micro-Trains Barber roller bearing trucks and #1015 couplers. Highball Graphics offers a decal set for the NAR cars and I am working with him to generate a BCIT set. 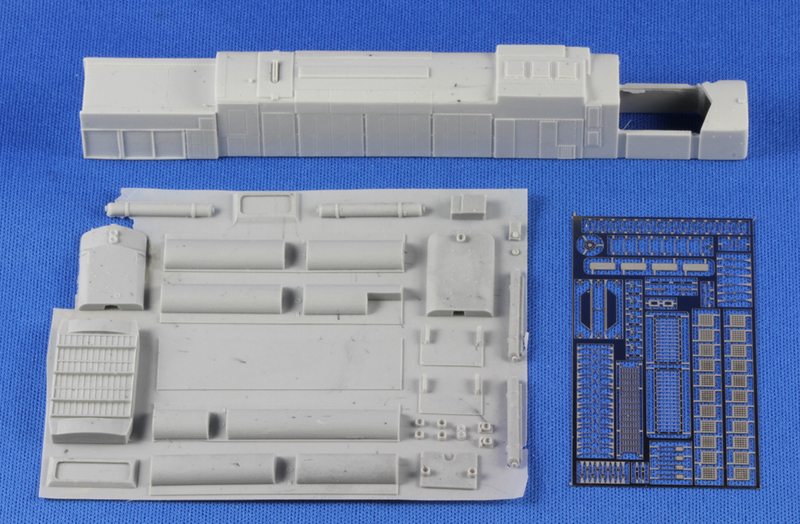 Assembly of the kit begins with minor cleanup of the resin parts and de-spruing of the etched metal parts. 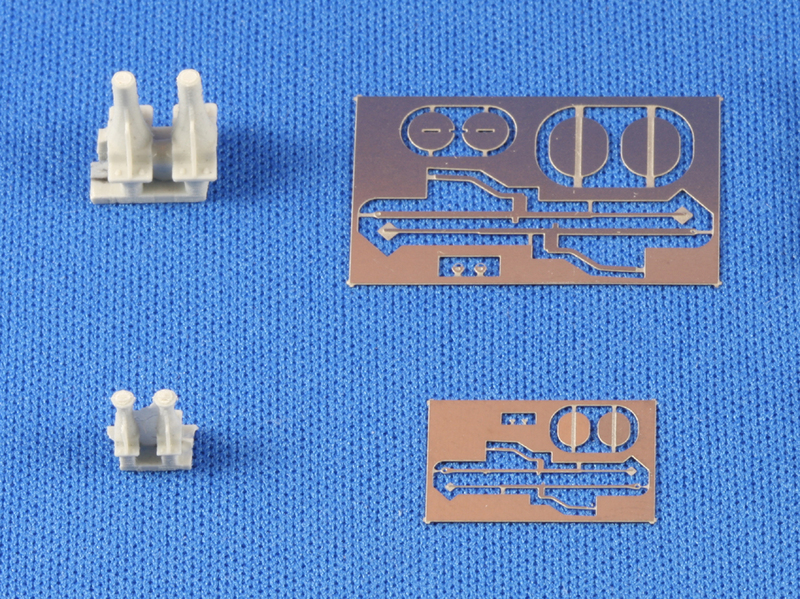 Pre-drills for the etched parts are then drilled out with a #80 drill and the etched parts are installed with CA adhesive. The side ladders mount onto brackets which must be bent at each end prior to installation. Holes for the trucks and couplers are drilled out with #50 and #62 drills and tapped for 2-56 and 0-090 screws respectively. Interior braces and weights are affixed inside the car. Assembly goes quickly and several cars could be built during two or three evenings. 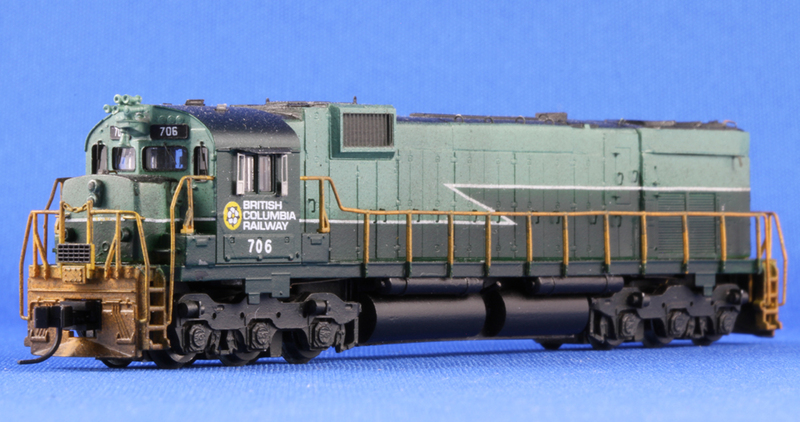 This model will be an important home fleet addition for those modelling the British Columbia Railway or Northern Alberta Railways, and would make an interesting foreign car on any other Canadian or U.S. layout. 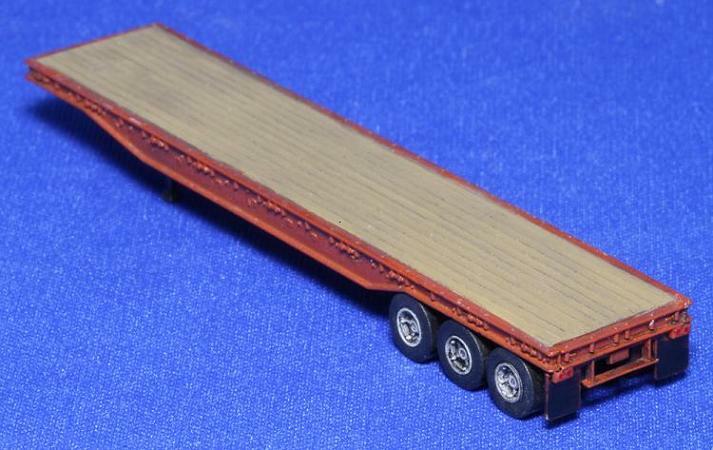 40' and 45' Trailers N Scale 40' and 45' Flat Deck Trailers. The kits comprise a resin body, front end sill, rear end sill with lights, step and mud flaps, suspension, wheel hubs and tyres. 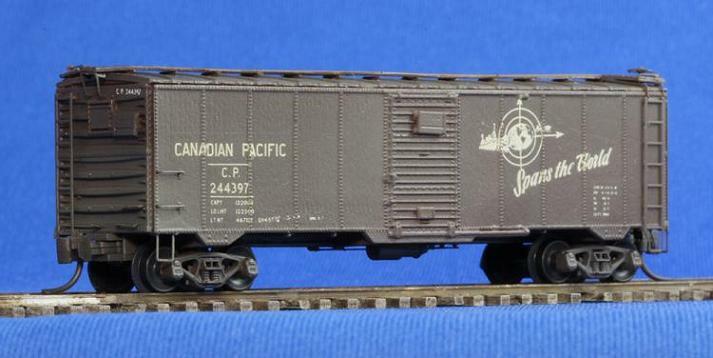 The Canadian Pacific Railway received 7,500 of the distinctive Minibox cars in 1929-1931. They served in revenue service until the late 1960s and in work service through the 1980s. The PGE acquired numerous for work service in 1969 and 1970 which lasted until 2004. The kit includes a resin body, ends, radial roof, wood running board, tack boards and brake equipment, etched metal parts for sill steps, ladders, grab irons, metal running board and brake equipment. The model may be completed with or without the 'A' end lumber door, with wood or metal running board, and with 'K' or 'AB' style brake equipment. The decal sheets include the CPR "Spans The World", stepped and script schemes. The kit includes a resin body, ends, radial roof, wood running board, tack boards and brake equipment, etched metal parts for sill steps, ladders, grab irons, metal running board and brake equipment. 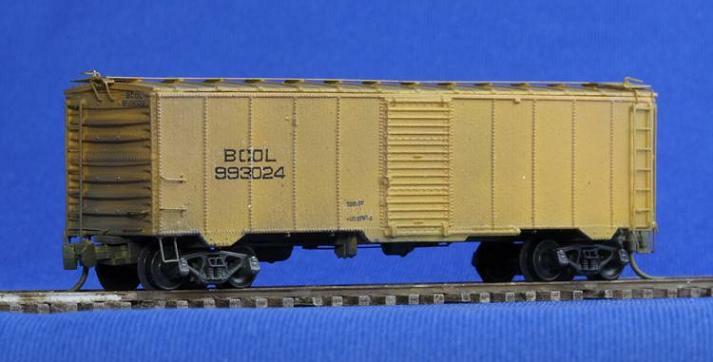 The model may be completed with or without the 'A' end lumber door, with wood or metal running board, and with 'K' or 'AB' style brake equipment. The decal sheets include the BCOL tool car scheme. The kit includes a resin body, ends, radial roof, wood running board, tack boards and brake equipment, etched metal parts for sill steps, ladders, grab irons, metal running board and brake equipment. 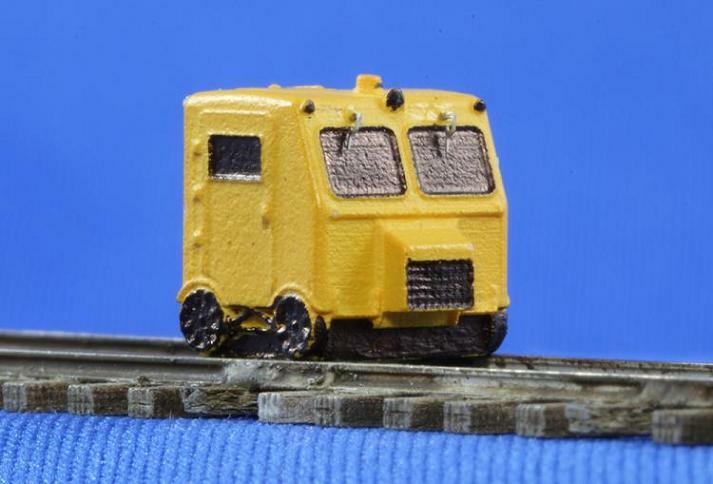 The model may be completed with or without the 'A' end lumber door, with wood or metal running board, and with 'K' or 'AB' style brake equipment. No decals are included. Speeder N Scale Fairmont Speeder. 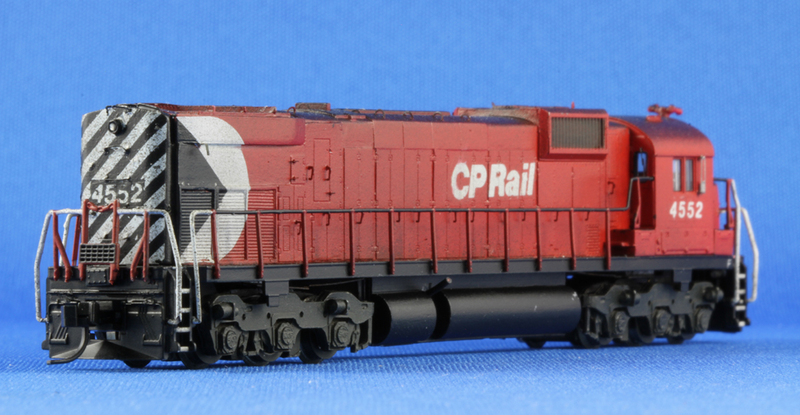 These speeders operated by CN, BCR and other railways feature a fibreglass body and plywood doors. The model is a one piece resin casting with a small fret for the window wipers. Pictures by Tim Horton, used with permission.